You are always able to upgrade your account and add more licenses. Go to www.spinbackup.com and follow the following steps. 1. Tap the Log in as G Suite / Google Apps Administrator button in the upper right corner. 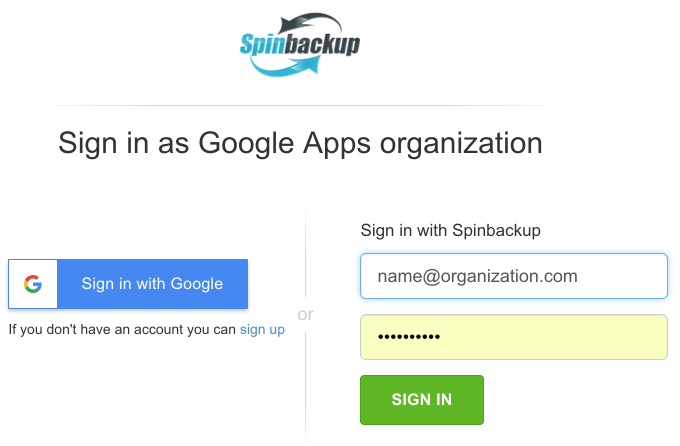 If you have no account, check our How to sign up for Spinbackup account for Business article. 3. At your dashboard in the upper right corner, tap your photo and then press Billing. 4. 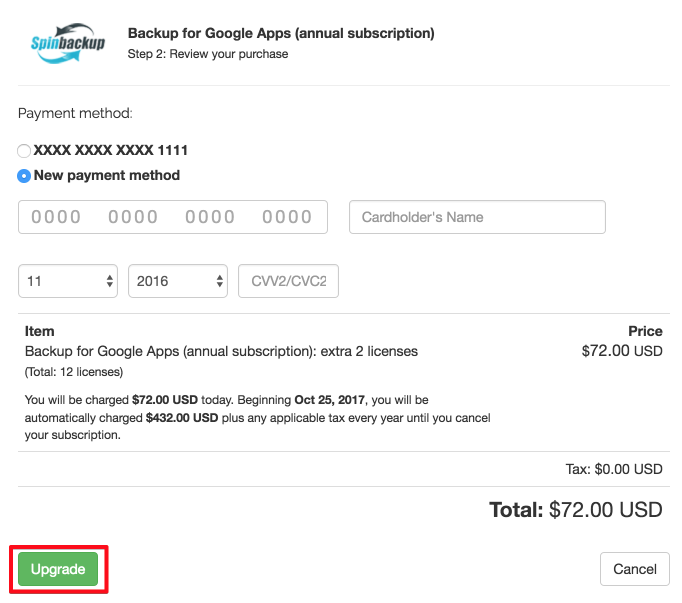 In a new Subscriptions window, you can view your subscription details: subscription plan, number of existing licenses, discount, currency, and price. To upgrade to more licenses, press Add more licenses. 5. Tap the number of additional licenses. In the upper right corner, you can see an updated total amount for payment. Press Continue. 6. Select the card you have paid with or create a new payment method. If you create a new payment method, insert your card details, and press Upgrade. 7. The system will notify you about successful upgrade. 8. You can check your billing information and see the updated data about your licenses.